A new report by the Federal Aviation Administration (FAA) indicates that the number of drone sightings by airplane pilots has “increased dramatically” in the last two years. The report showcases 583 separate cases where pilots saw drones flying in restricted airspace between August 2015 and January 2016. It can, therefore, be assumed that for all of 2015 there will have been about 1,233 drone sightings by pilots since about 650 were also sighted between January and August 2015. The report revealed that in all of 2014, there were only 238 of such sightings recorded. 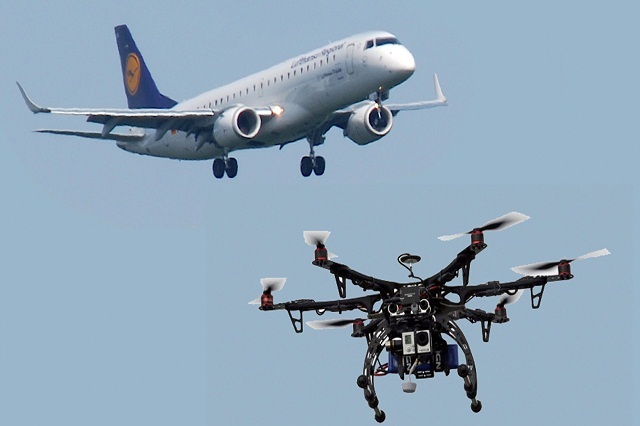 It is against the law to fly consumer drones above 400 feet or within five miles of an airport, but the reports show that message isn’t getting across to many users, while some users are out rightly disregarding the rules. Although in the report there are several instances where the pilot didn’t have to take any evasive action to steer clear of the drones, as well as a few sightings where it could have been either a drone, bird, or even a weather balloon that the pilot saw. However, there are several fearsome close calls listed in the report. For instance in December, there was a report where a drone was just 100 feet below a plane flying over Orlando, Florida. Earlier in November, it was reported that a helicopter was departing from the St. Louis Children’s Hospital helipad when it suddenly saw a drone less than 100 feet away. The helicopter “had to take evasive action with a 60 degree banking turn to avoid the drone,” the report remarks. The Federal Aviation Administration mandated the compulsory registration of drones on December 21 last year to hold those who fly in restricted air zones accountable and “help protect public safety in the air and on the ground,” but it will, however, require some time to see how effective the program will be. So far about 406,000 people have registered their drone with the government since the program went into effect. Meanwhile, in order to arrest the frequent abuse of the airspace, people are devising creative ways to capture rogue drones flying in restricted areas. A case in point is that of a Michigan Tech professor who is building a drone that can shoot a net at rogue drones to capture them so as to take them away from dangerous and restricted areas. On its own part, the FAA is also working on a new form of technology that can detect and identify drones and pilots flying too close to airports, according to a Motherboard report. 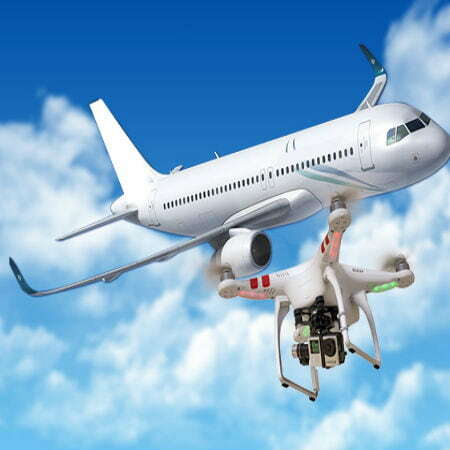 Another positive development is that as regulators around the world are struggling with the new drone phenomenon, responsible manufacturers such as China’s DJI have introduced geofencing technology into its drones to prevent them from being flown into dangerous areas. “Enforcement goes hand-in-hand with education, and we will take action against anyone who operates irresponsibly to the full extent of the law,” FAA Administrator Michael Huerta wrote in a press release about the drone sightings report. There have been several calls for all drone operators to at least be licensed, with some experts saying that a competency test is also essential. Hence, some training session for registered drone users will not be out of place.